Another in the We Eat Them So You Don’t Have To… No, Wait, You Should series. 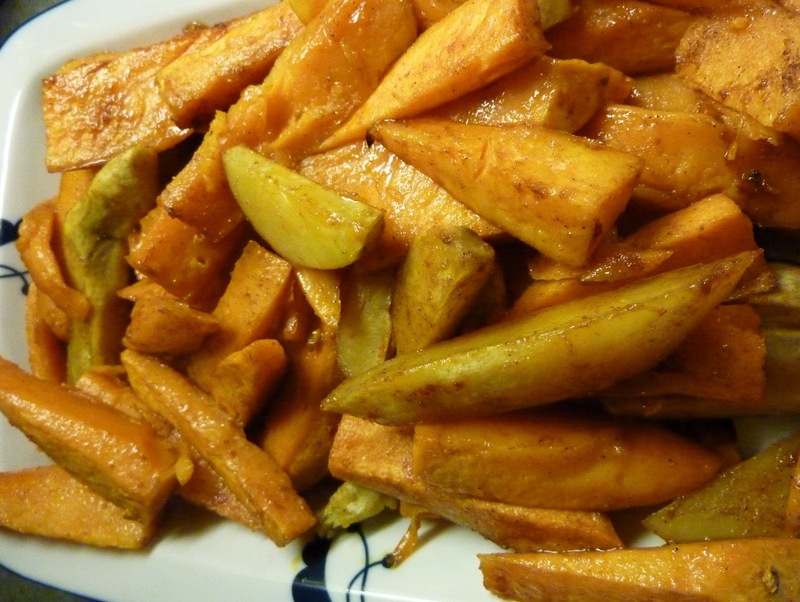 Last night at my house we had oven-baked sweet potato fries, made with this recipe. Tasty although I used a little too much paprika and should have kept them in the oven longer, since they were soft but not crispy outside. But hey, we were hungry. Warning: always check authoritative sources before experimenting with new foods you may have inadvertently grown! Delicious! I was really happy with my Georgia Jets last year and regret not having enough space to try that again. Chinese people enjoy the leaves more than the actual sweet potatoes. You'll have to try that next time if you haven't already! I have tried the leaves – they're really good. And we've had people come through the garden and tell us they eat just the stems and not the leaves. Not sure about leaves of the ornamental kind, though I'm sure they're edible.